How We Spent Our Holiday Vacation – And Happy Nug Year Wishes for 2018! Like everyone else in America and around the world, The Nug Nation staff and our beloved characters took some time off to celebrate the holidays and ring in the new year. While most of us visited family and friends, our nugs went to the North Pole to find Santa. 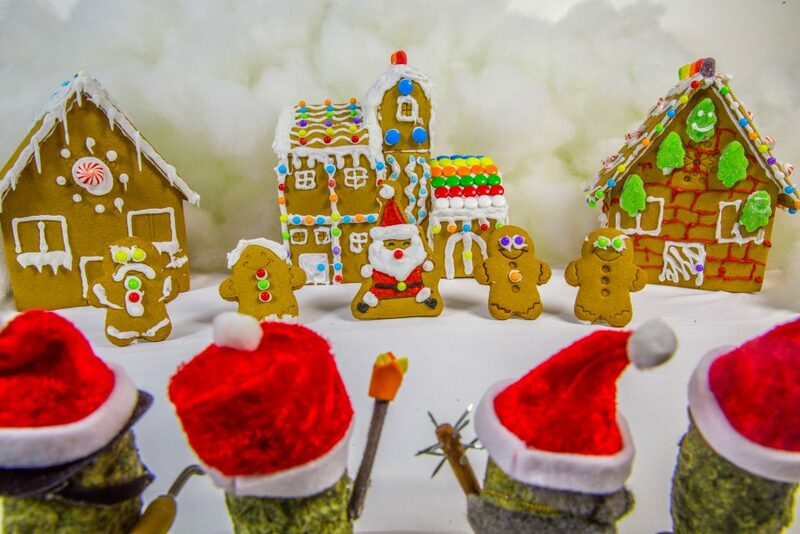 Here’s a photo of Diesel, Bong Burgundy, Affy and some other nugs as they arrived at Gingerbread Village. The nugs arrive at the North Pole! Here you can see that the nugs quickly found ways to entertain themselves while they searched for Santa. After the train ride, the nugs had a snowball fight, went for a sleigh ride and generally took over the small town. 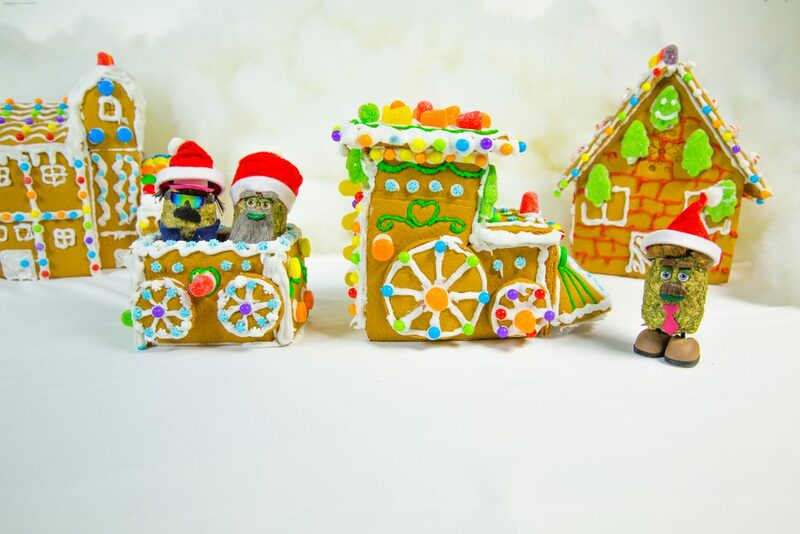 Bong Burgundy watches as Diesel and Affy enjoy a train ride in Gingerbread Village at the North Pole. After some sightseeing, the nugs were dismayed when Daddy tried one of his ‘falling’ tactics in order to sue Gingerbread Village. He contends it was the slippery street, but both Affy and Diesel are convinced that he was up to his old tricks. Nug Judy declined to comment, saying she didn’t see anything, although you can see by this photo that she was witness to the event. It did little to assist the nugs in convincing local residents of to help them find Santa. Daddy makes a spectacle of himself in the center of town. 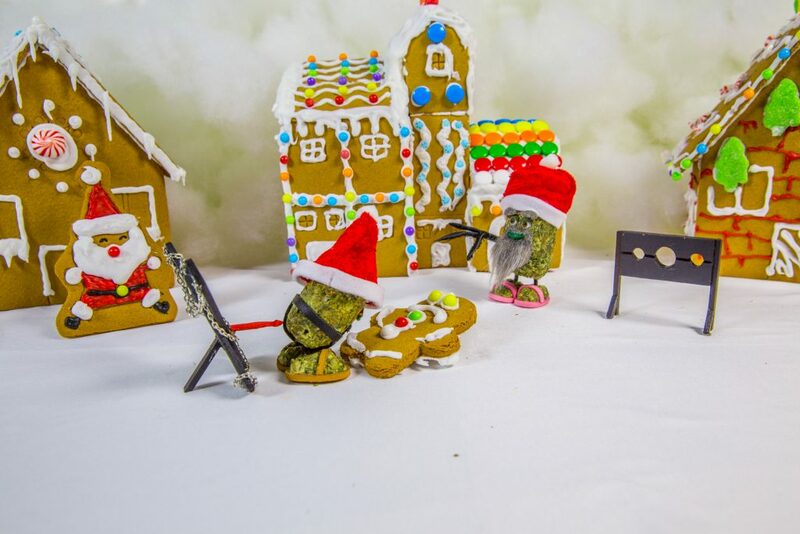 Gingerbread Gang, lead by Santa confront the nugs. Drunk with power, some of nugs took things a bit too far by taking some of the Gingerbread Gang hostage. Officer Blue is reportedly investigating any wrongdoing on the part of the nugs, but has been largely unsuccessful as most of the nugs involved refuse to speak to him, except of course Affy who contends that the gang members had it coming to them. We don’t know exactly what is going on here, but we trust that everything was consensual. While we don’t condone this type of behavior, Santa did say that the experience was exhilarating and looks forward to hanging out with the nugs next year. 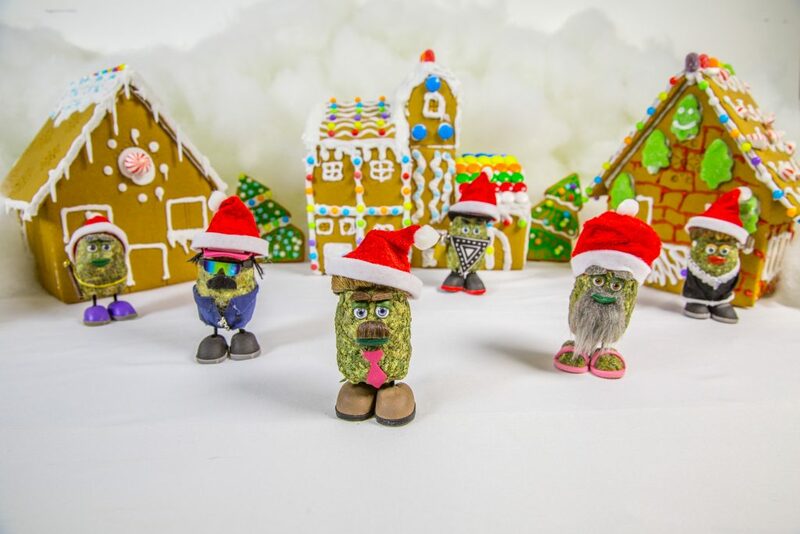 For now, we hope you’re enjoying a happy nug year. We have lots of exciting things planned this year and hope you’ll enjoy, share and support our efforts to entertain you. You can also buy some of our sweet Nug Nation gear by visiting our shop on either the website or app.